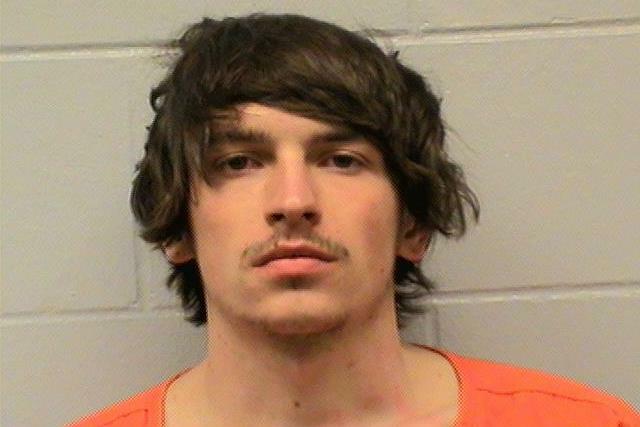 Early this morning, Thursday, February 19th, the La Crosse Police Department received information that Thomas Dereszynski was the driver responsible for the Hit and Run to a Pedestrian, Injury accident that occurred at 2:33AM Sunday, February 15th near the 600 block of Cass Street. It was reported that Dereszynski was currently at a downtown La Crosse bar. Officers made contact with the witness outside of the bar. He stated that Dereszynski was his friend and had told him he was the driver responsible for the accident and wanted to turn himself in, but couldn’t. The friend told Dereszynski that if he didn’t turn himself in, he would call the police. Dereszynski did not call, so his friend made contact with us as promised. Dereszynski was located outside of a bar and when contact was made with him, he stated to the officer, “you should just arrest me now”. Officers questioned Dereszynski about the accident and later arrested him for Hit and Run – Causing Injury and issued him several other traffic related citations. A search warrant was obtained, and the vehicle Dereszynski was driving at the time of the accident was impounded as evidence in the case. Thomas Dereszynski is currently being held in the La Crosse County Jail with pending charges: Hit and Run Causing Bodily Injury, Unreasonable and Imprudent Speed, Non-registration of Motor Vehicle, and Operate Motor Vehicle w/o Insurance. The La Crosse Police Department credits his friend for providing us with the information that helped solve this crime. Video footage of the accident occurs between 2:00 – 2:05 on the time marker. It should be noted that citizens with information on any crime can contact us directly or may provide tips anonymously through La Crosse Area Crime Stoppers at (608) 784-TIPS (8477), by texting “LAXTIPS plus your message” to 274637 (CRIMES), or filling out the online WebTip Form.